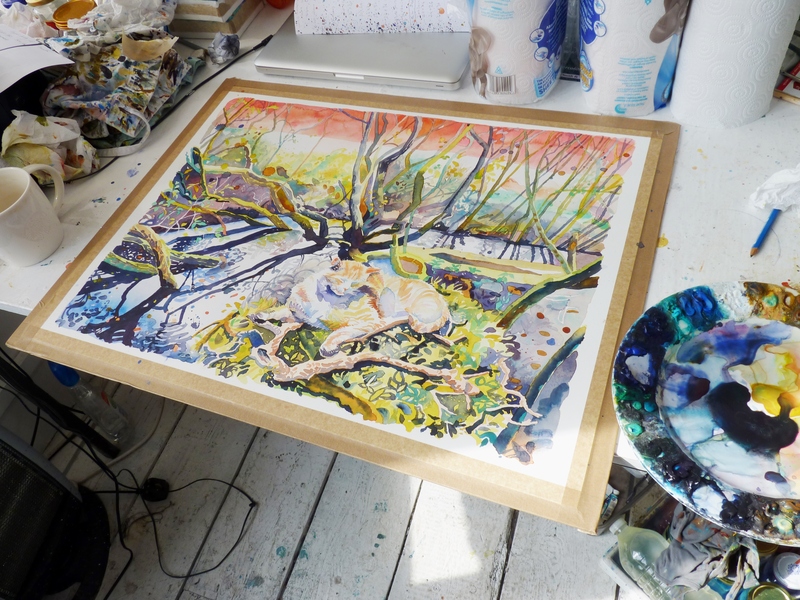 Abby has recently been busy preparing for JSA’s Open Studios, as well as her own exhibition under the name of her gallery, Bristol Contemporary Art. The exhibition ‘Supernature’ revolves around the theme of the magnificence of nature. Exhibiting 20 artists, the pop-up exhibition will be open in Cabot Circus until the 29th of June. She was involved with the studio for a few years before she actually got a studio space. She says, becoming a part of the studios ‘kick-started’ her career. 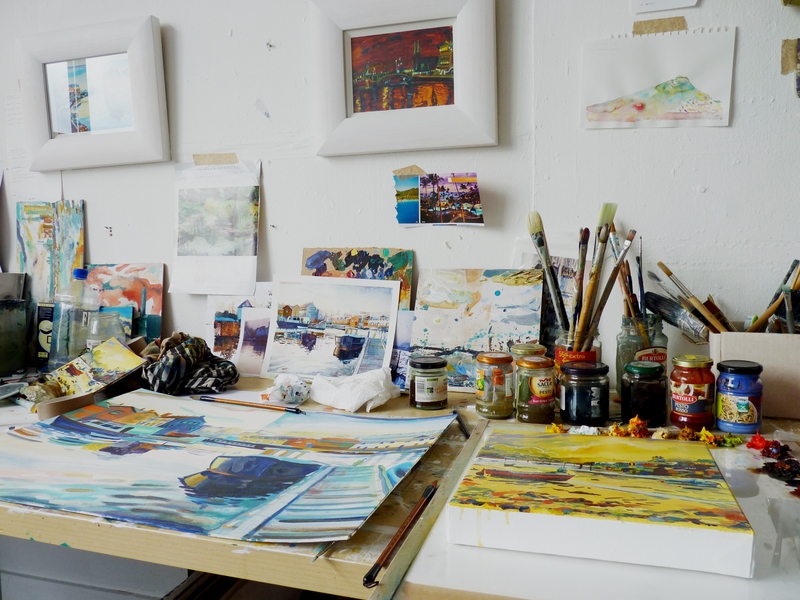 Although Abby had sold some paintings from when she was as young as 12, the work she sold at the Open Studios was the first time she had sold any paintings since she graduated. 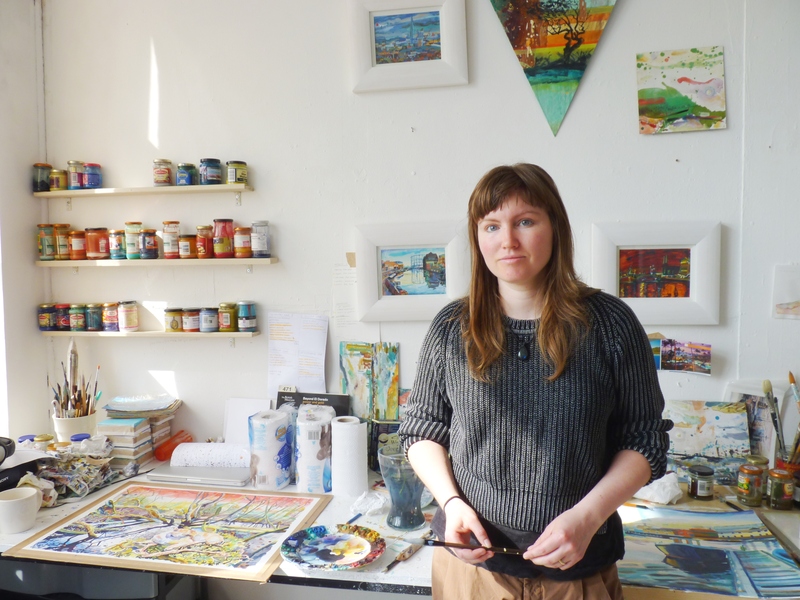 You can see Abby’s work at Open Studios in June.